Every company maintains multiple Web applications, internal or external. 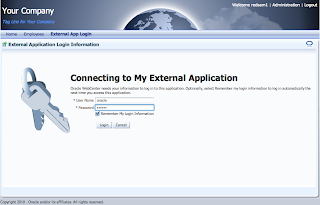 In order to make these applications to work together, usually we need to enable Single Sign-On (SSO) for authentication. 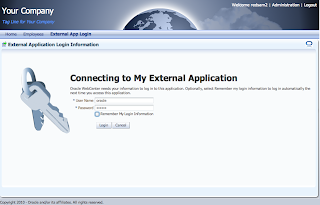 Typically, this can be very costly and requires advanced configurations. 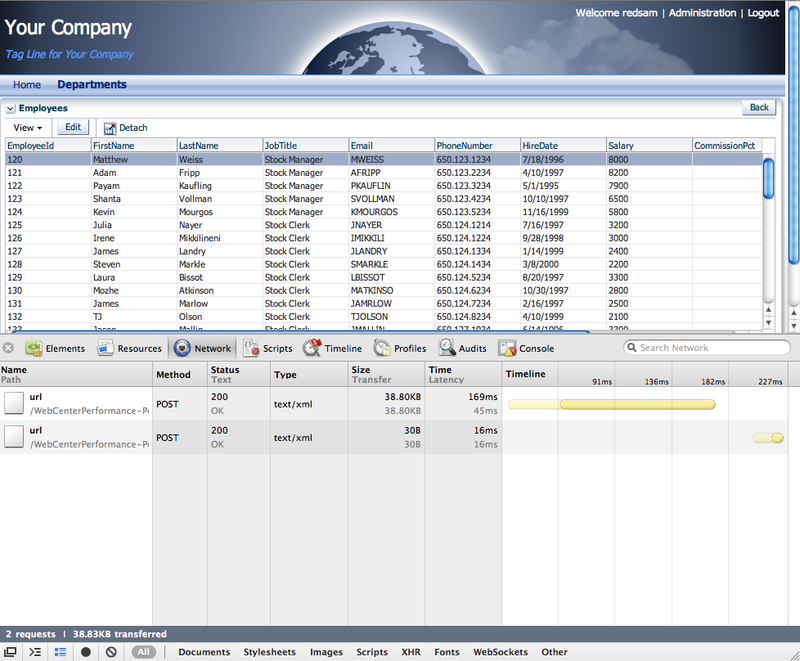 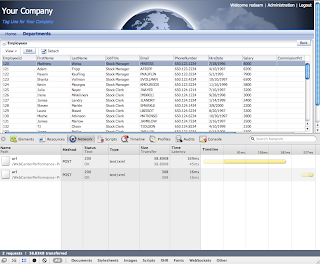 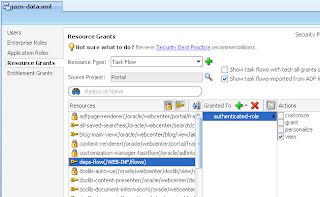 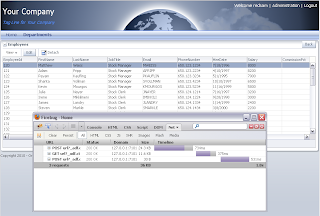 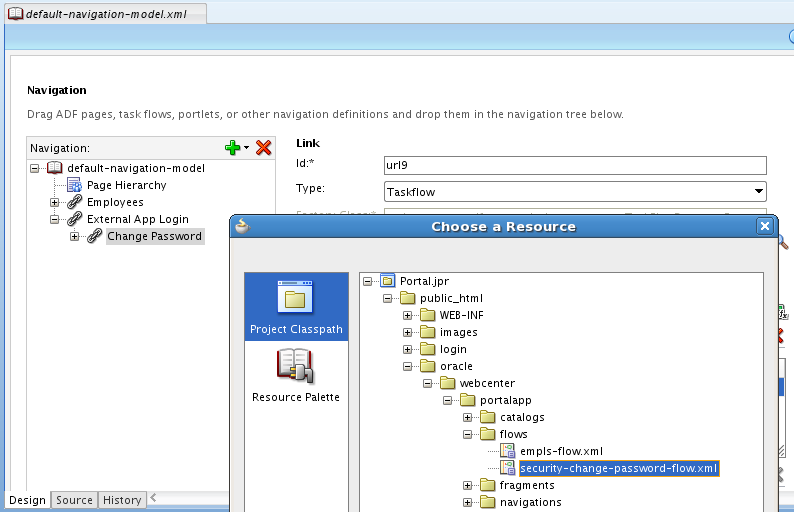 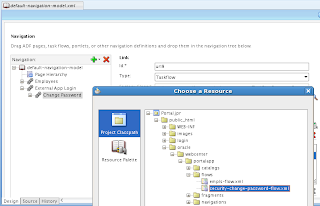 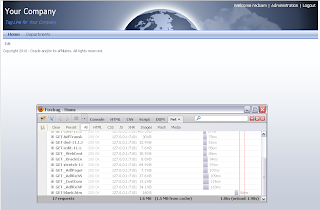 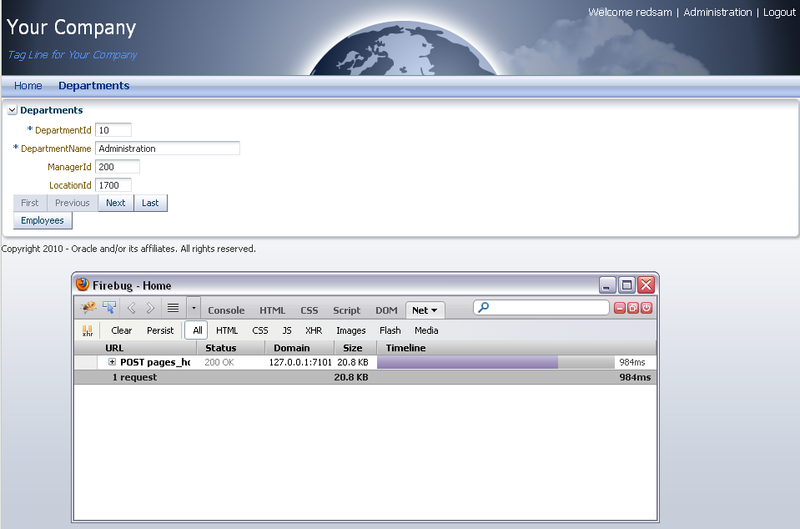 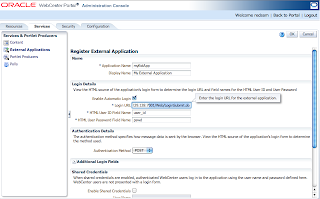 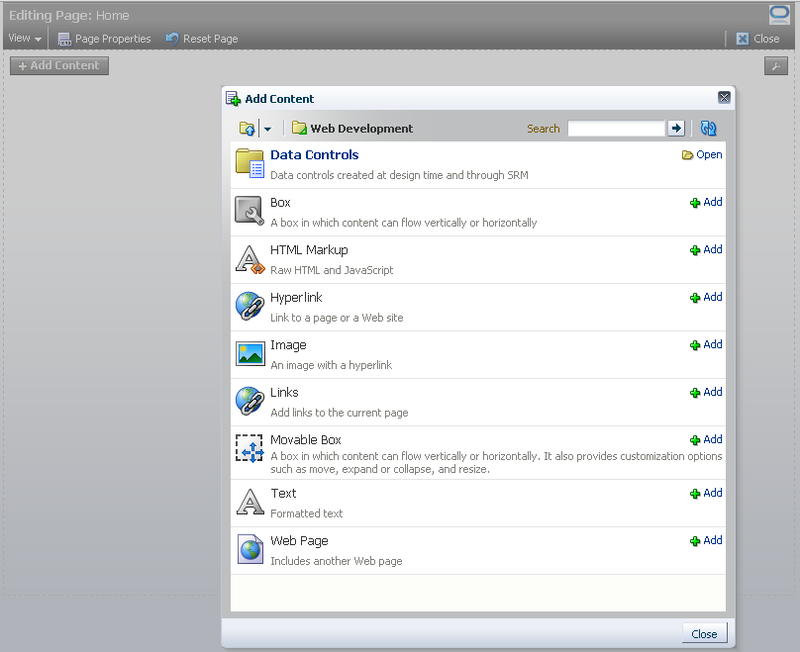 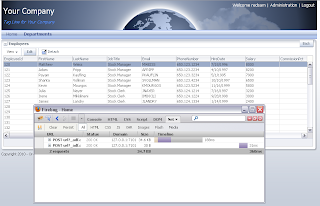 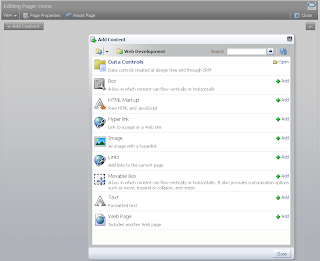 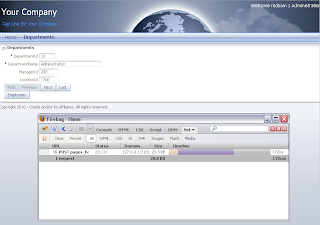 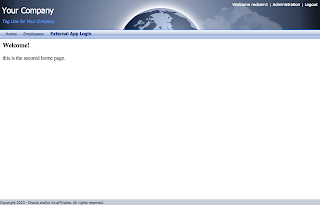 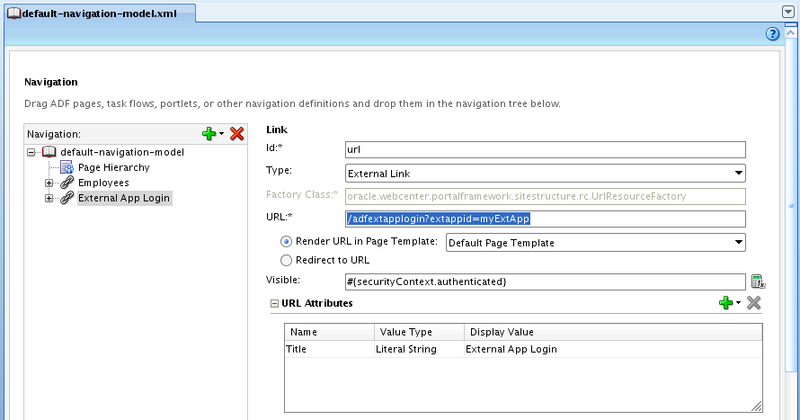 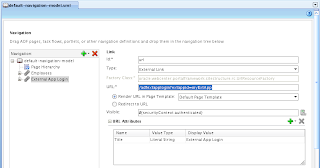 If you are building portal solution with WebCenter PS3, you may avoid complexity by leveraging External Application Connection feature. 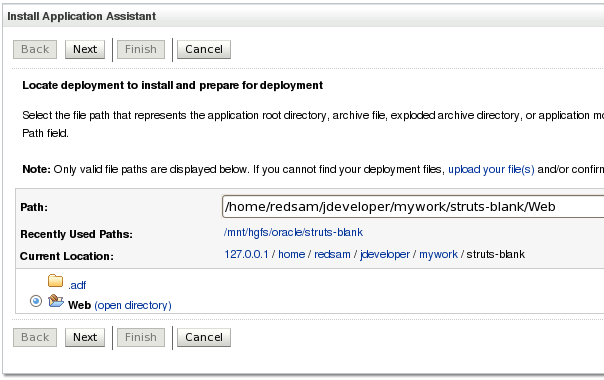 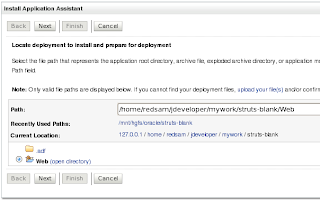 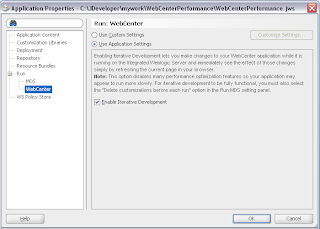 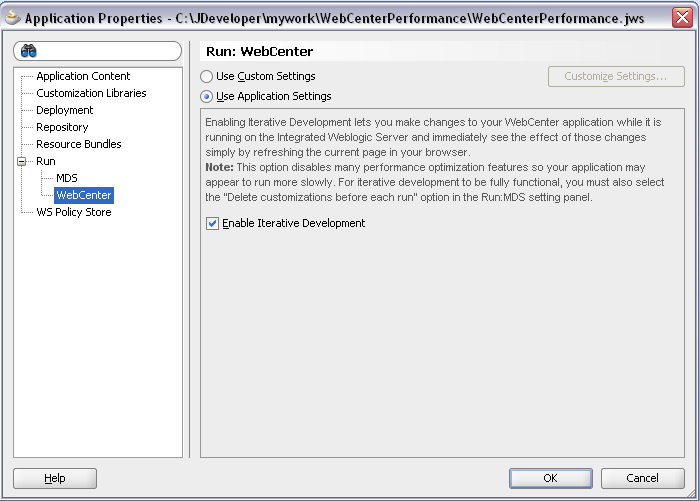 Read more about this feature from WebCenter Developer and Administration guides - 63.13 Working with External Applications and 25 Managing External Applications. 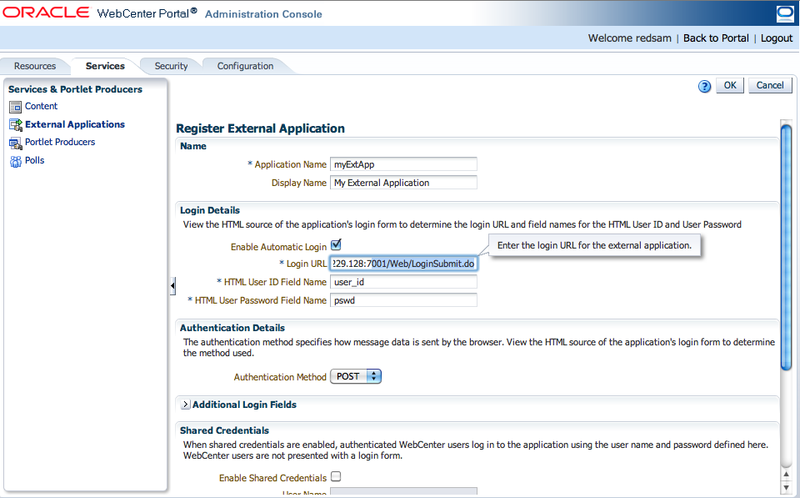 As you can read from developer guide, automated SSO feature is supported for J2EE security container login method j_security_check for authentication. We did several tests with third-party Struts application, where custom made security check was implemented. 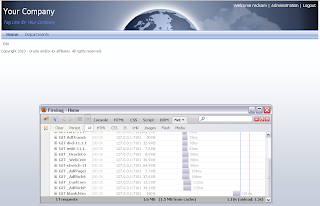 It also works well, I will share our test results with you in this post. 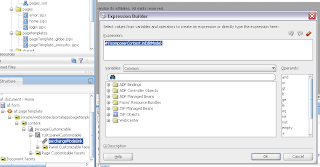 If needed, we can provide additional variable values for hidden fields, however our example is not using such fields. 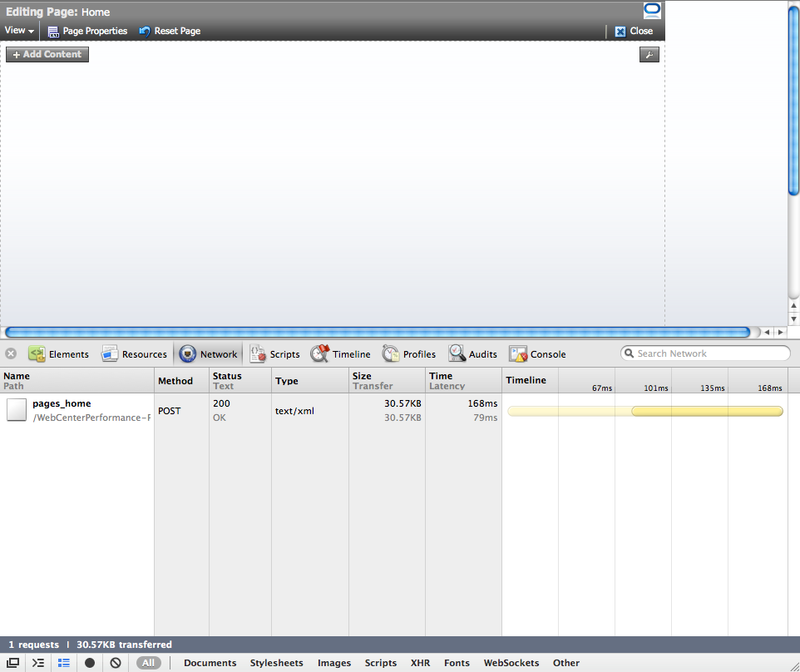 For experiment, I did comparison of both times - when running with Iterative Development mode enabled and without. 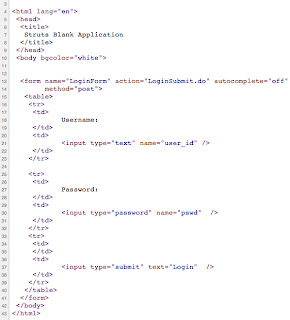 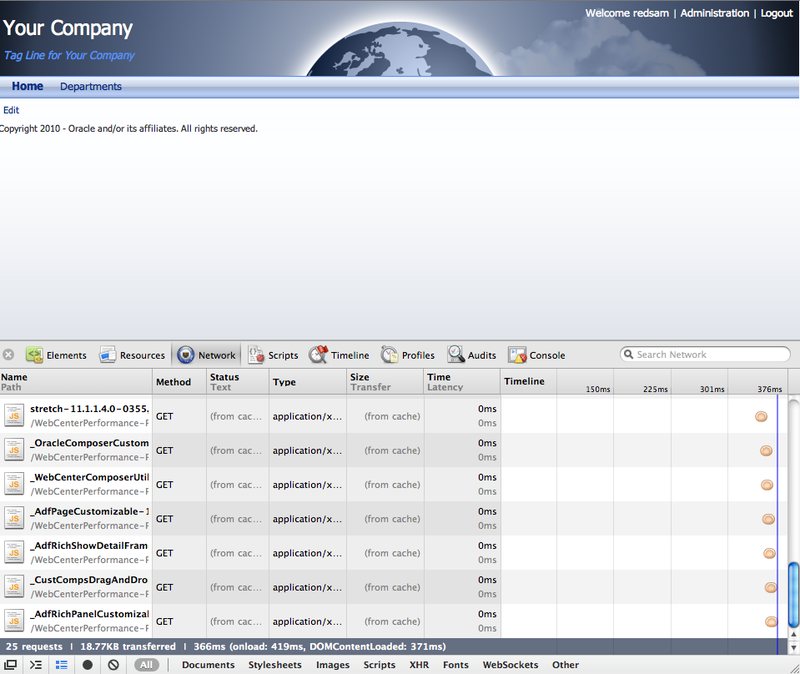 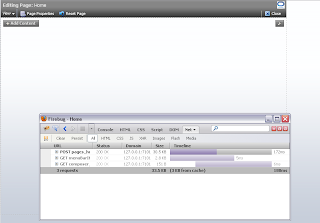 Download sample application test case, where Iterative Mode is already disabled - WebCenterPerformance.zip. 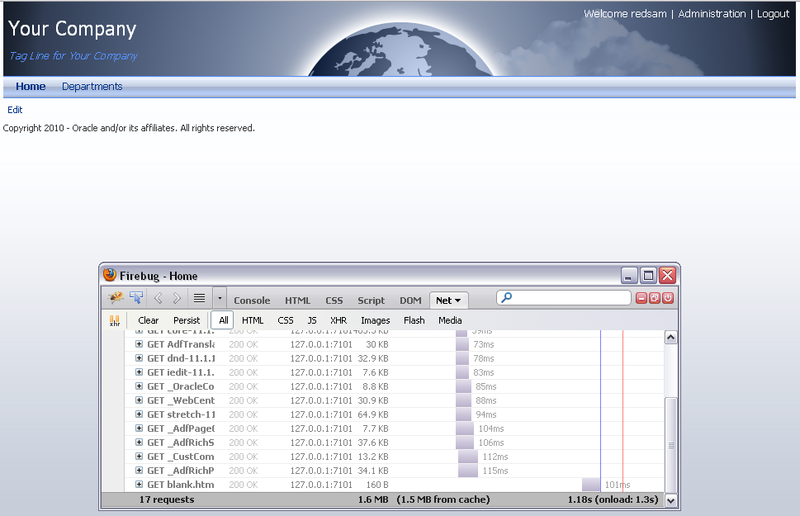 You can see that, there is significant performance differences. 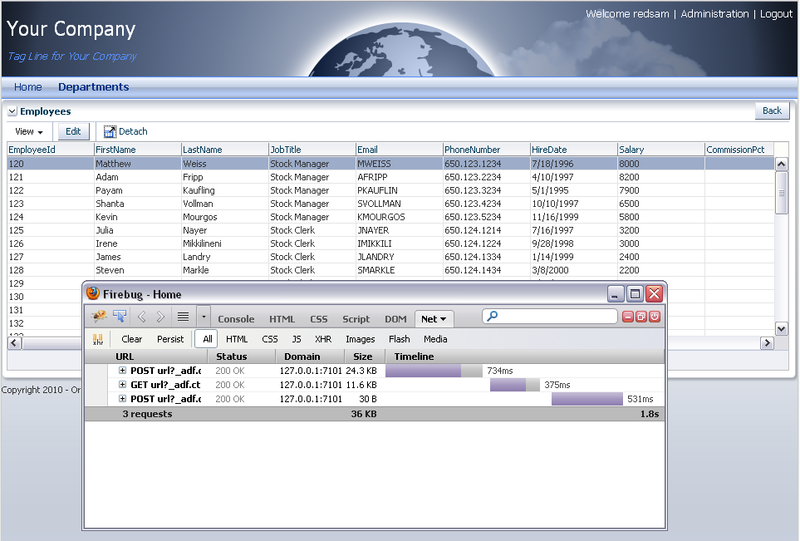 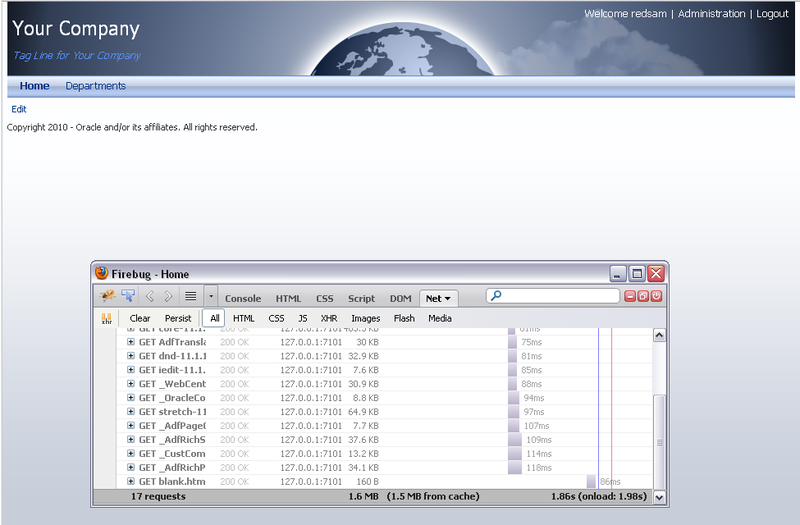 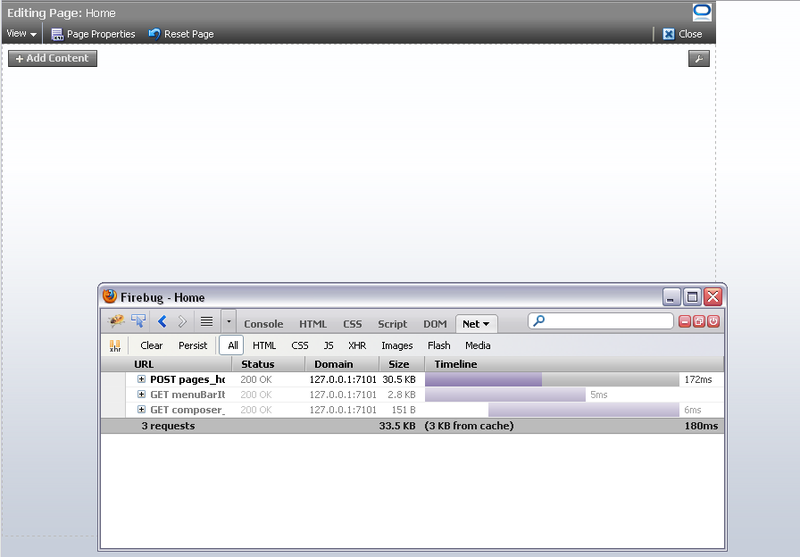 Similar performance you will get when deploying to standalone WebLogic server. You should be aware of Iterative Development feature and turn it off, when needed. 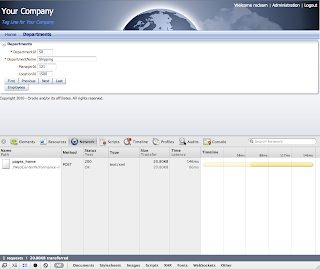 I don't have goal to compare different browsers, but you should be aware that application performance can depend on which browser you are using. 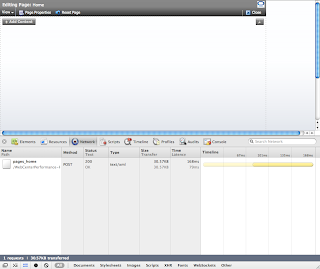 Previous timings were produced with Firefox 3, now I will run sample application (Iterative Development mode is off) in Google Chrome 10. 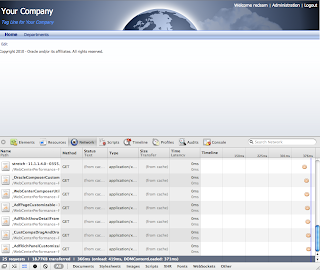 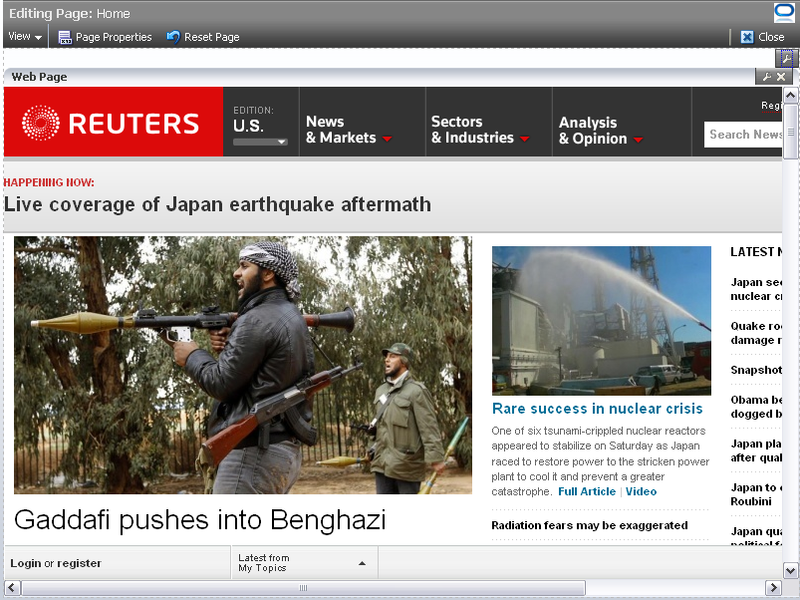 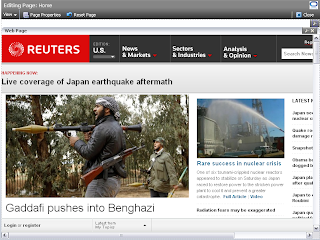 You should take into account and test your application on different browsers for better performance. 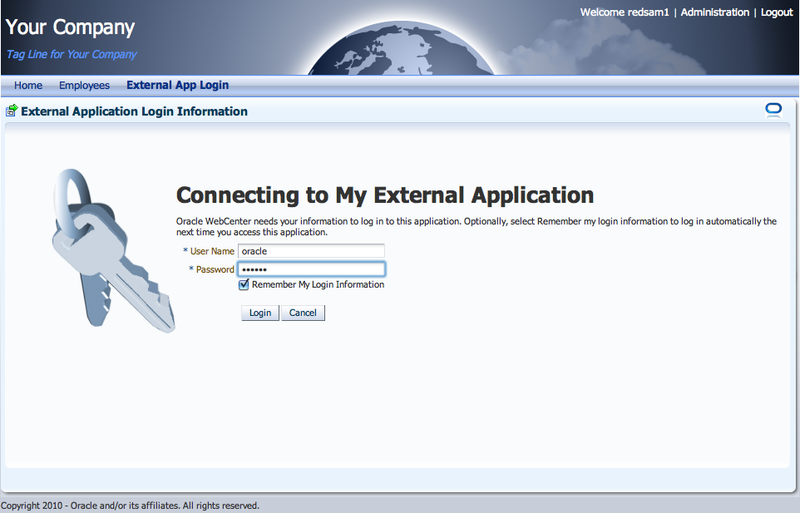 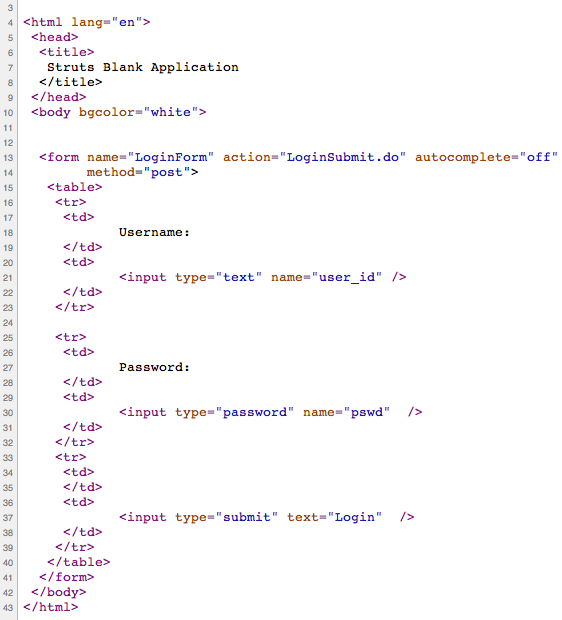 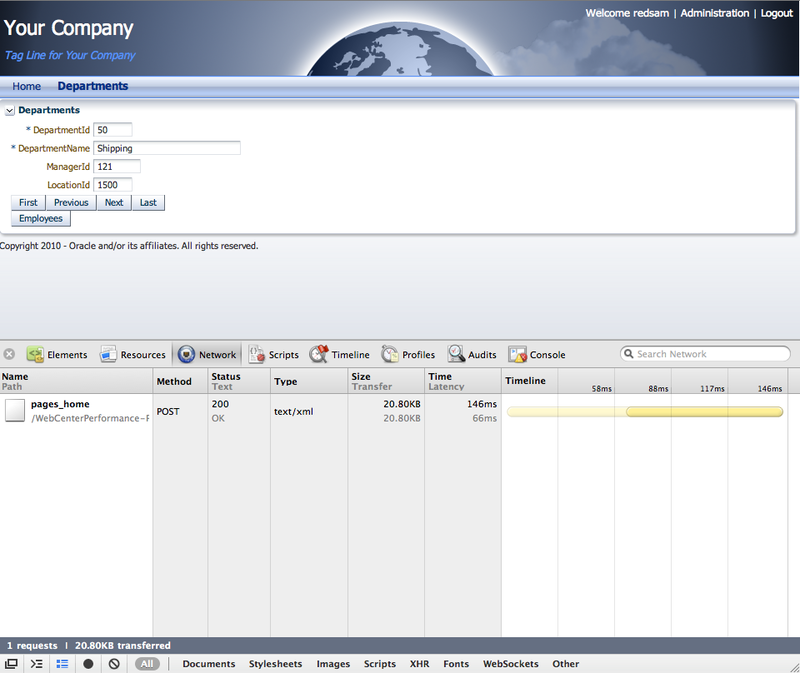 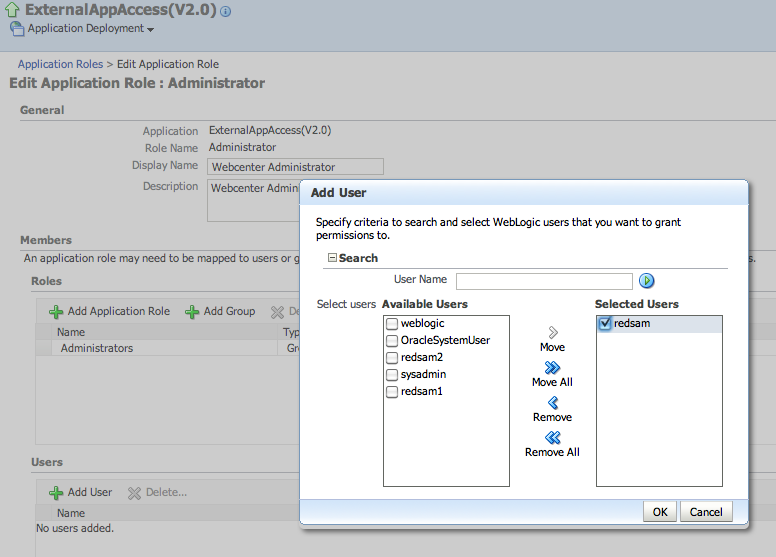 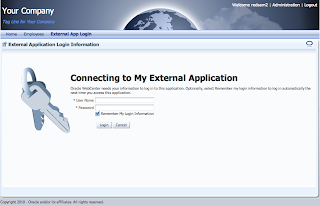 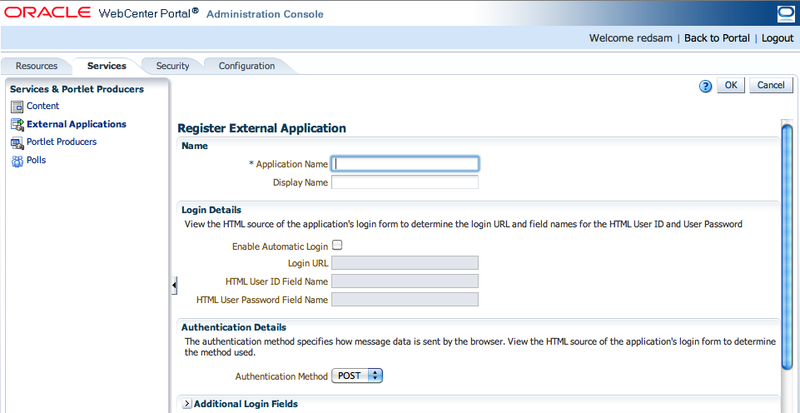 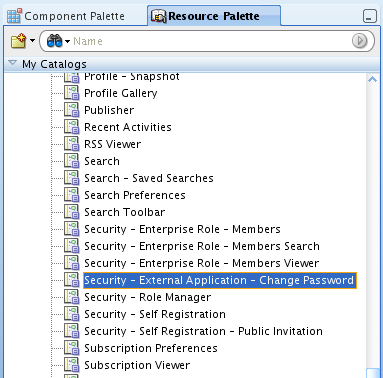 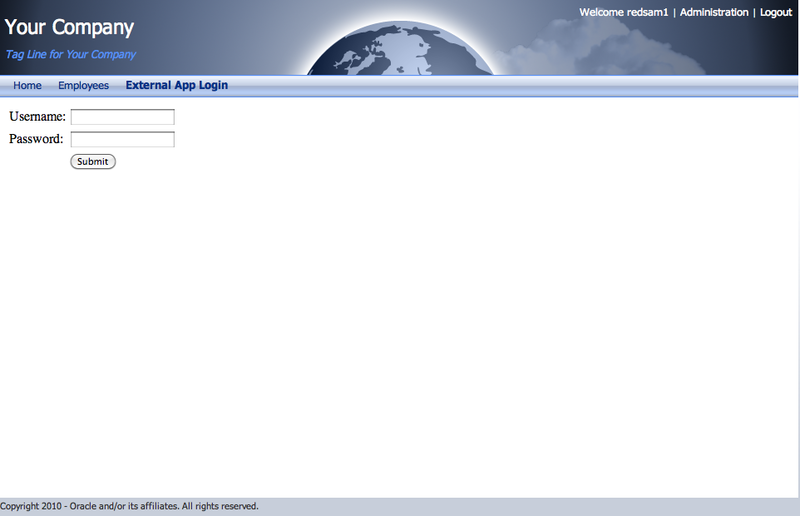 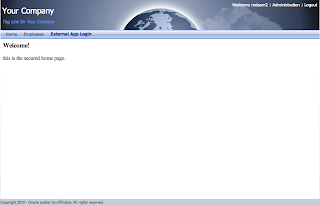 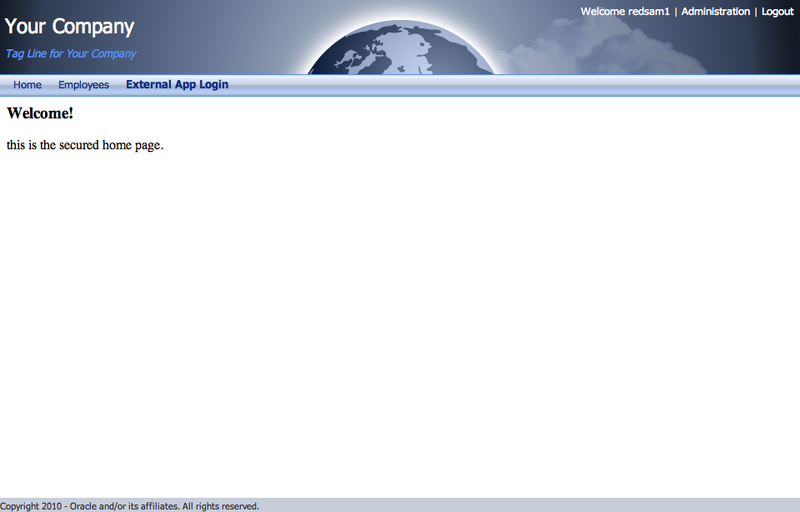 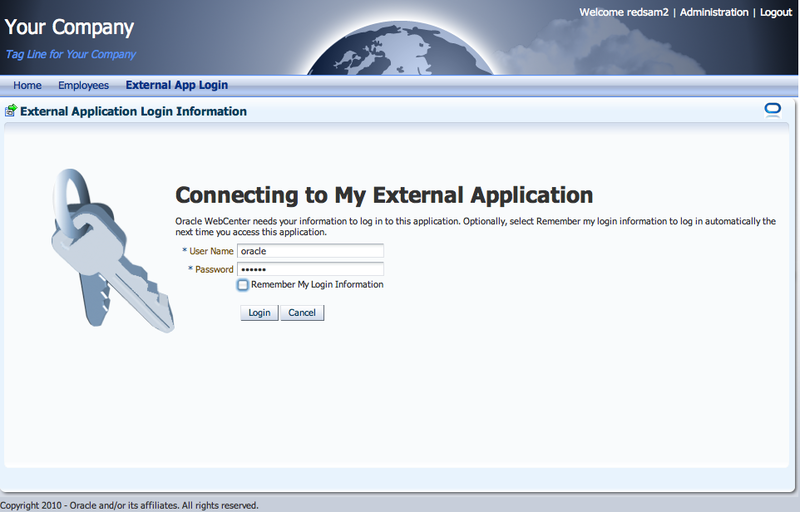 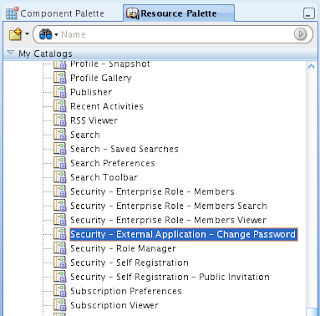 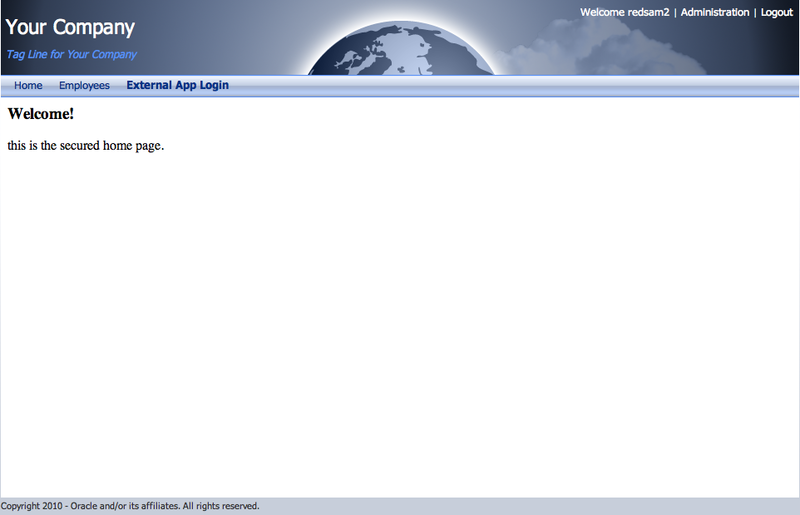 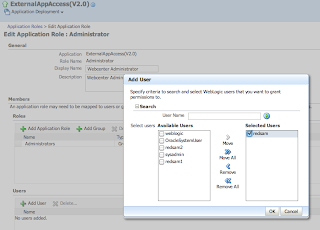 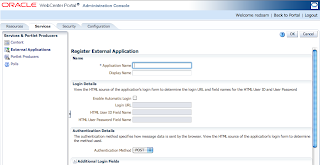 In my future posts, I will show how you can do automatic login into secured third-party Web applications through WebCenter External Application connection. 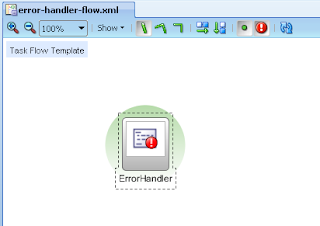 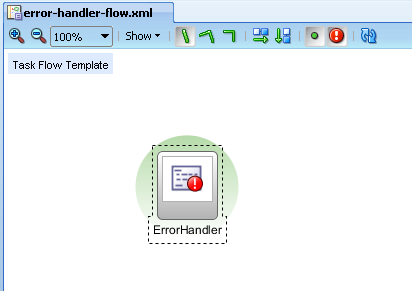 I have described specifics of handling exception for ADF Bounded Task Flows with Fragments - Exception Handler for Method Calls inside ADF Task Flows with Fragments. 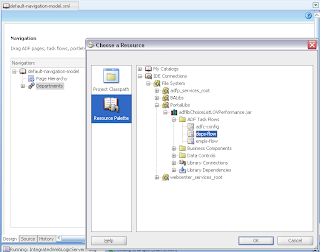 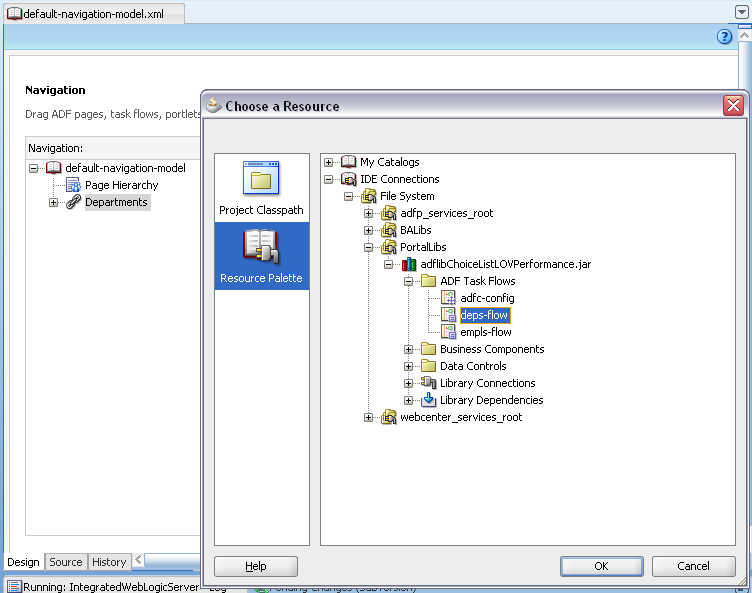 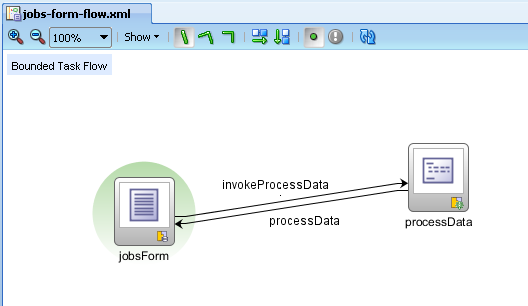 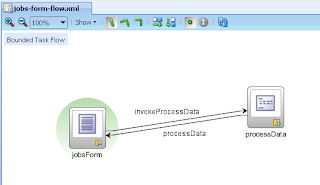 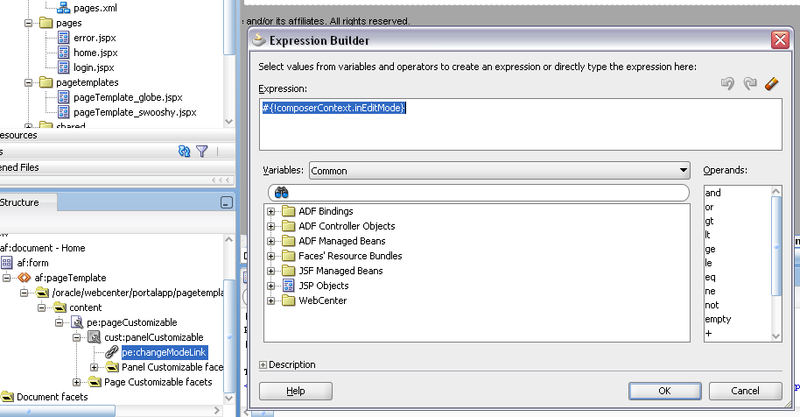 We will look today what are the differences when using ADF Bounded Task Flows with Pages.